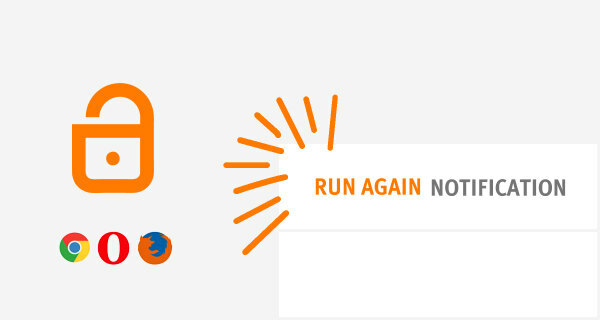 1) Click on the document icon in the address bar. 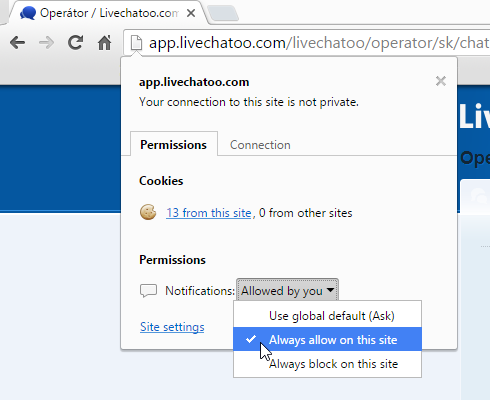 2) Look for Notifications in Permissions section and set them to Always allowed on this site. 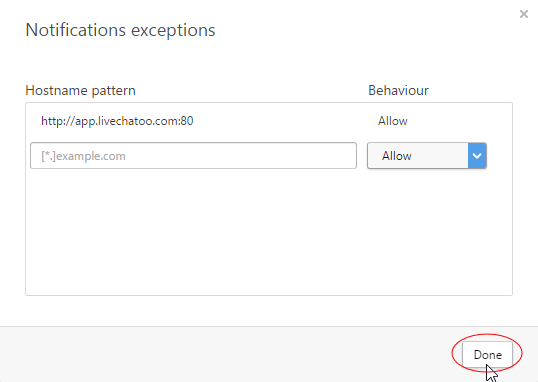 2) Move to Permissions section. 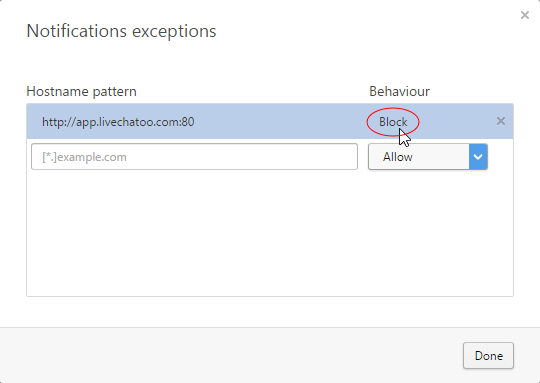 3) Look for Show Notifications field and set it to Allow. 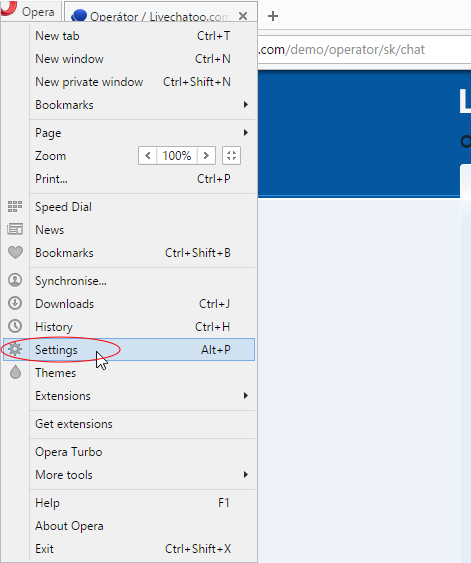 1) Open Opera menu and then open the Settings, or just use hotkey Alt + P.
2) Go to Websites section. 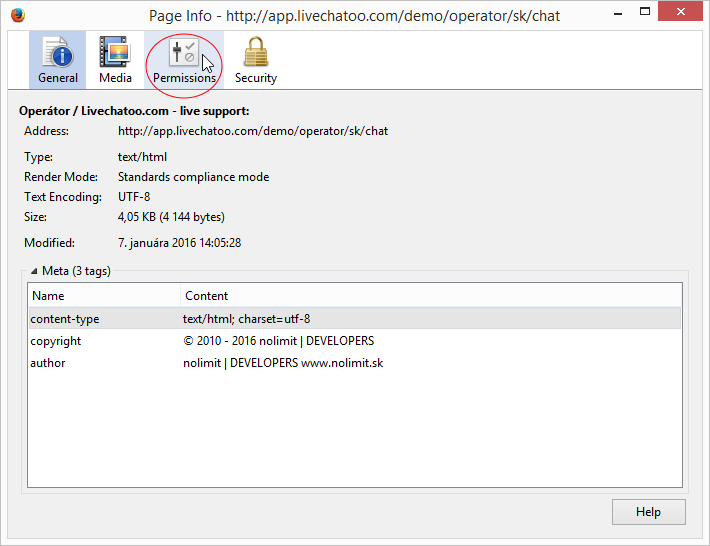 4) In Hostname patterns find http://app.livechatoo.com:80. 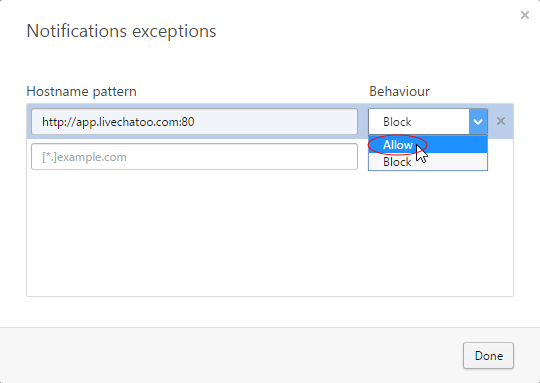 Then click on Block. 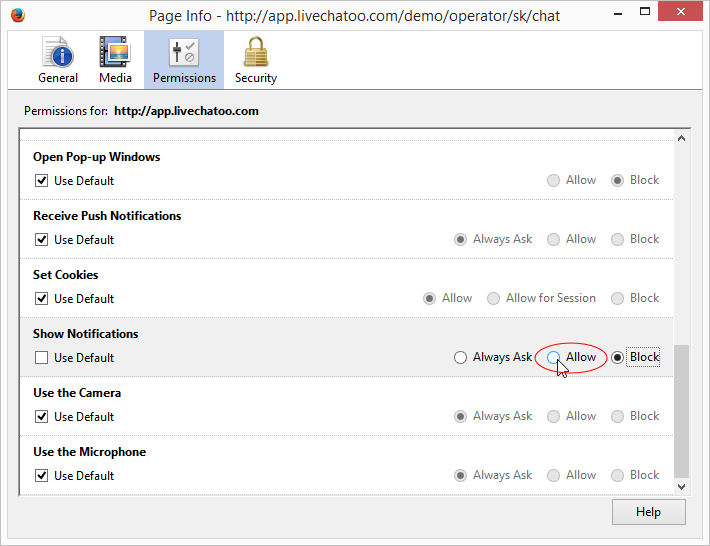 5) Allow notifications for http://app.livechatoo.com:80. 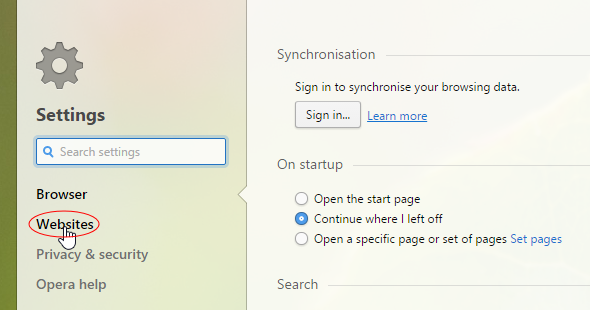 6) Confirm new settings by clicking on Done.